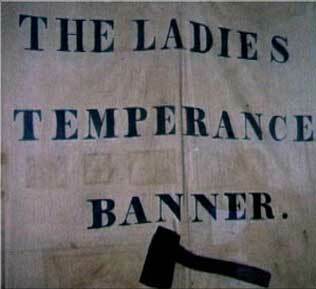 Brandishing hatchets and this unbleached cotton banner, the mob raided houses, barns, privies and establishments that sold liquor illegally, split fifty barrels of spirits and caused about $700 damage. Although brought to trial, the Massachusetts Superior Court found the women not guilty of trespass. For almost 150 years, Rockport remained a dry town, though, today, some limited liquor licenses have been granted. Perhaps no event in Rockport history is more well-known than Hannah Jumper’s raid in July of 1856. 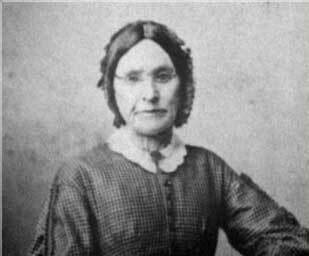 Seventy-five year old Hannah served as an inspiration to a group of women who had had enough of the growing problem of intemperance within the town of Rockport. Planning their actions in secret meetings throughout the winter, about sixty women, several men and more than a hundred followers congregated in Dock Square on the morning of July 8. © Copyright 2008-18 Sandy Bay Historical Society • All rights reserved.